In the last thirty-plus years, normal diplomatic relations between Iran and the West, particularly the United States, have been curtailed. As a result, much of the diplomacy between the two countries has been conducted either in the deepest secrecy or in plain sight via the media. In this talk, illustrated with video clips, Dr Hamid Naficy explores the diplomatic media dance in film and electronic media between the Iranian and American governments, the American media, Iranians at home, and Iranians abroad. 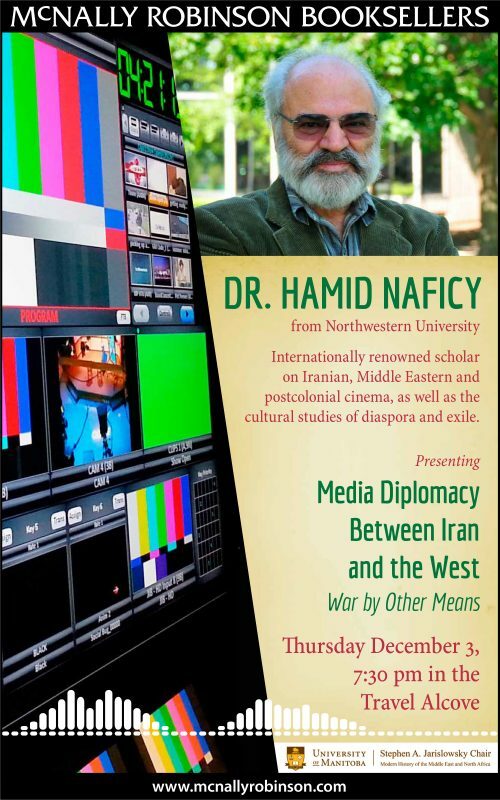 Professor Naficy is al-Thani Professor of Communication at Northwestern University, and an internationally renowned authority on Iranian, Middle Eastern and postcolonial cinema, as well as the cultural studies of diaspora and exile. He has won numerous awards for his writing, including nearly a dozen books. In addition, he has participated in major international film festivals, curated film series, and initiated the annual Iranian film festivals in Los Angeles in 1990 and in Houston in 1992. 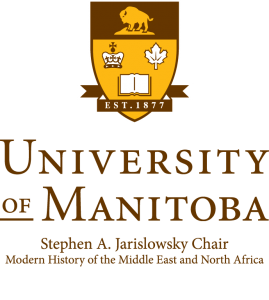 Sponsored by the Stephen A. Jarislowsky Chair in the History of the Modern Middle East & North Africa.